Princeton University Press, 9780691175270, 360pp. The Phoenicians traveled the Mediterranean long before the Greeks and Romans, trading, establishing settlements, and refining the art of navigation. But who these legendary sailors really were has long remained a mystery. In Search of the Phoenicians makes the startling claim that the "Phoenicians" never actually existed. Taking readers from the ancient world to today, this monumental book argues that the notion of these sailors as a coherent people with a shared identity, history, and culture is a product of modern nationalist ideologies--and a notion very much at odds with the ancient sources. 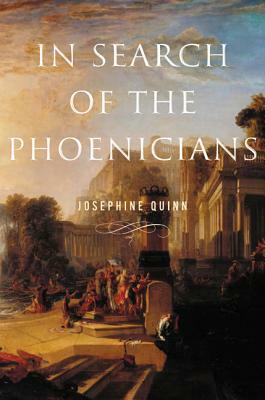 Josephine Quinn shows how the belief in this historical mirage has blinded us to the compelling identities and communities these people really constructed for themselves in the ancient Mediterranean, based not on ethnicity or nationhood but on cities, family, colonial ties, and religious practices. She traces how the idea of "being Phoenician" first emerged in support of the imperial ambitions of Carthage and then Rome, and only crystallized as a component of modern national identities in contexts as far-flung as Ireland and Lebanon.